Whether you are a seasoned jewellery enthusiast or new to the world of bespoke jewellery, the New Year presents the perfect opportunity to experiment with your style and try something a little bit different. 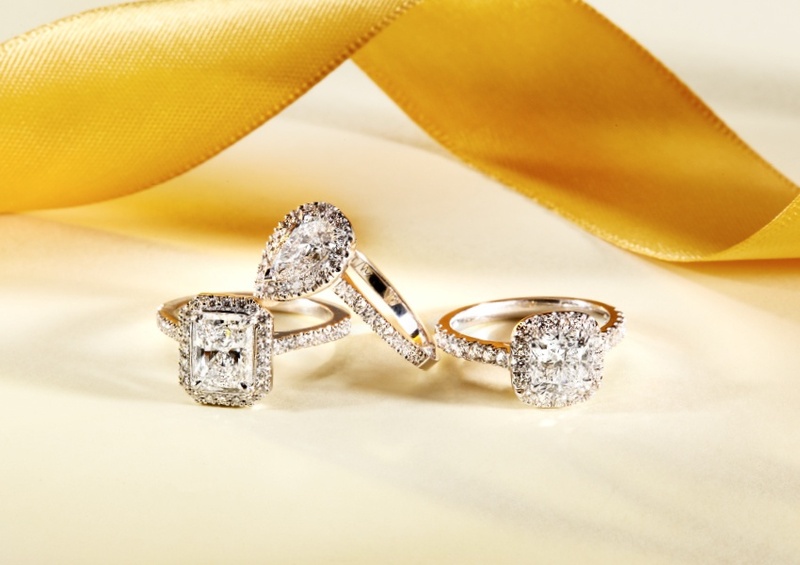 When selecting a ring to add to your collection, look for extra detail that will set it apart and make it unique. Here at the boutique, one of our favourite ways to introduce additional detail to our rings is through embellished bands. Embellished bands elevate the drama and intricacy of a ring. Something as simple as selecting a band studded with diamonds gives your ring that extra touch of elegance and sparkle, without going overboard. 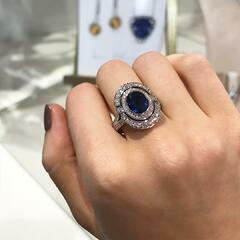 We adore the embellished detailing that our Oval Blue Sapphire and Brilliant Cut Diamond Ring’s band features. Dazzling diamonds set in double platinum bands merge together on each side to create one gorgeous platinum band, acting as the perfect frame for the magnificent 3.13 carat Oval Blue Sapphire and intricate double halo diamond design of this ring. Art Deco style designs are another fantastic option to consider if you are looking for the perfect piece to add to your jewellery collection in time for the New Year. Bold and sophisticated, Art Deco inspired jewellery incorporates unique features with mesmerising geometric designs to deliver a captivating statement. For those perhaps planning on proposing to their special someone in the New Year, our Platinum Marquise Art Deco Engagement Ring is an extraordinary example of an Art Deco inspired design. 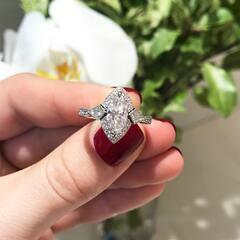 The spectacular 1.02 carat Marquise Diamond is flanked by two diamond kite shoulders and crafted with delicate millgrain detailing and Round Brilliant Cut Diamonds. If you are considering introducing something rare into your collection for the New Year, an Australian Argyle Pink Diamond piece is a superior choice. Found only here in Australia, Argyle Pink Diamonds are one of the most highly sought after stones in the world. This breathtaking stone is becoming increasingly rare with each passing year, so adding an Argyle Pink Diamond to your jewellery collection is a wise choice. Our divine Oval Argyle Pink and White Diamond Ring is a ideal piece for those seeking an Argyle Pink Diamond ring. Featuring a stunning .20ct Argyle Pink Diamond at its centre and surrounded by a Twin Halo of Pink and White Diamonds, this ring is beautifully set in White and Rose Gold to convey ultimate refinement and elegance. To view more of the stunning pieces we currently have in the boutique, make sure you are following us on Instagram!